“Crabbies are driving trial of new ‘Fruits’ from Facebook by getting consumers to ‘Fill In The Blanks’ to get a coupon”. Social media has become the “other reality” and consumers might have different attitudes there. 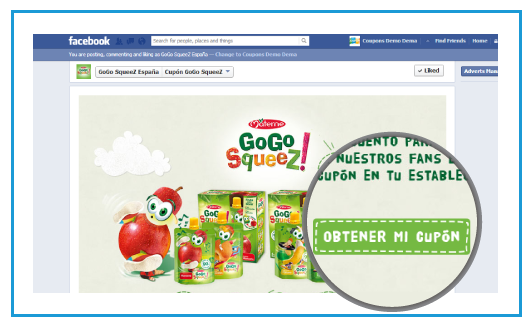 Using digital coupons in social media is a great teaser especially when it comes to “give it a try”. Corporate Branding & Communication. Studied Graphic Design, Visual Communication and researched Social Media.